The start of school can be scary for students, parents and staff. How do we manage this powerful feeling of scared? Understanding this feeling is important as we adjust to the first few months of the new school year. “Scared” wants us to be safe, so facing the unknown can trigger this feeling. Feeling scared causes many different reactions in our bodies. We can feel sick or have a rapidly beating heart, or have difficulty sleeping. Often, we express fear with short tempers and hurtful or sarcastic words. The important thing to understand is that scared has a message and wants to keep us safe. New situations don’t feel safe, producing this feeling of apprehension or fear. Help children to recognize and understand their triggers. Remind them of ways they can calm. Take deep breaths with them to teach active calming breathing strategies. You can practice S.T.A.R., Drain, Pretzel and Balloon, or even a breathing exercise the child invents. The important part is to breathe in through the nose with the belly going out, then out through the mouth with the belly going in. The exhale should be longer than the inhale. Teachers and schools want children to be successful. Share with them any concerns you or your child are having. Chances are, there are other students feeling the same way! Provide your child with a picture of actions they can take when they feel scared. For example, find a teacher and talk to them, find a friend, or read a book. If possible, give your child a visual schedule of the steps they will go through each day before coming home. This provides a sense of stability and safety. As parents, we often have pictures of our families or loved ones on our phones or desks. Give your child a family picture to carry or put in a notebook to help them calm when they feel scared. As teachers, we can offer a Safe Place to families at the beginning of the year, providing a place where children and parents can calm together. This Safe Place can become a class structure. We can also have a Friends and Family Board for families to post pictures and create a classroom family from the first day. Classroom visuals help students understand the teacher’s expectations and how they can be successful. Modeling, adding visuals, and practicing (M.A.P.) will help students from the very beginning. For instance, you might post pictures of a three-step process for cleaning up the block area. You would then demonstrate this process and give students opportunities to practice. Classrooms with specific daily routines create a sense of safety for students. 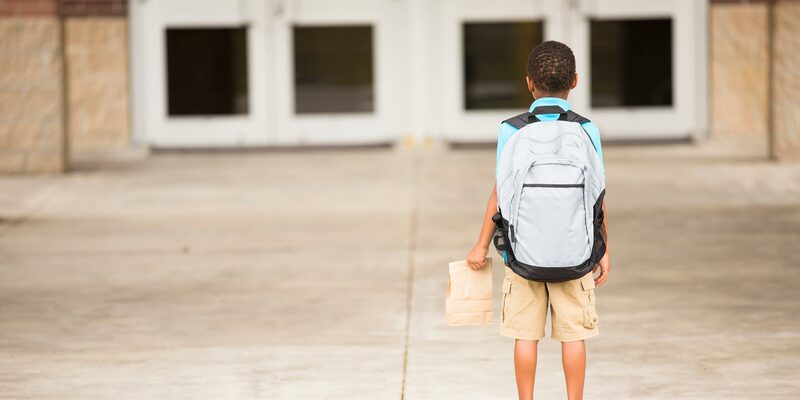 When students know what to expect each day, they will begin to feel safe. Teaching is hard and can often be scary too. Planning and consistency for the students will give teachers and parents a sense of calm as well. We all feel scared at different times during the school year. Working together as students, parents and teaching staff can dissipate some of those feelings. Creating a working School Family where we all contribute will help us build safety and trust so that we can reach each of our students. Our children are our future and we want them to reach their highest potential. It starts with the adults in their lives! How will you help children manage scared this year? Diane Phelan has been an educator for 27 years. She taught early childhood education for three years, for ages 18 months to four years old. She then taught in elementary school for 13 years, all grade levels. Over the last ten years, she has served as principal for a middle school in Pasadena, Texas. She has also worked with high school students and teachers for more than 15 years. Diane regularly works with parents of children at all ages, and recently expanded her training to include law enforcement officers. Diane is passionate about working with adults that influence children of any age.